Amazing that a specialist importer would even bother to bring this garbage into Australia. Industrial pale lager of the highest order with cheap adjunct, cheap and dilutive bitterness and of course plenty of fizz. This is well below even when compared to CUB. I wonder who makes this stuff. Is it a contract job? Hey - I like this. The best of the Schelde beers I’ve had to date. Thick dark brown to look at, more meal that drink perhaps. Nose screams of oyster stout; sweet malts, funky, old fish oil, with a touch of vineagar. Aromas are faithfully replayed into the palate. Nice zinging oyster sauce / vinegar note. Feels lighter that the 8.5% labelled, and perhaps more Belgian Ale than stout? Pretty solid drop. Hazy dull orange with a thin fizzy head - very attractive. Masses of apricot on the nose, very distinctive and very lifted. Palate is very fizzy but it seems to work in this instance. Flavours are driven with fruity malts, apricot and a slight lemon note. Some heat and aniseed in the back palate, more from the alcohol than anything else. So much obvious appeal in this beer. This house has been solid without being spectacular, in my experience, and this beer doesn’t really buck the mold. The Strandgaper is built in what I like to think as an old-fashion Belgian style; stinky, cooked, daggy malts, stewed fruits on the nose, low hop input etc etc. Malt weight becomes progressively heavier through the palate but never gets over the top. Nose is a touch yeasty and biscuity, perhaps lacking freshness, but overall this beer is dependable. Maybe a touch underdone by the punters on http://www.ratebeer.com/ but this is solid enough. Quite lagerish for my tastes; dulling subtle malts, daggy hops, etc etc. Fruits are of the red variety; berries and the like. More supportive rather than driving flavour. Ok summer quaffer. Smells and tastes like a bog standard lager (in my book) and this sample is looking a little tired despite the Feb 2008 BB. Pours a treat ; big ice cream sunday head, fluffy and thick. Mainstream lager notes to smell and they lack appeal. Flavours are thin and tired; industrial beer malts and low bitterness. Really quite crappy. Funny beer. Nose shows some faint hope sweetness and a funky, dirty fruit note. Not really hoppy at all in terms of aromas, at least in the traditional sense. Mild palate weight with elegant fruity notes before a harder metallic-like character kicks in. Blah. Could be a contract job but not at all done well. Pours ok; dull murky lemon / orange, kinda Belgian whit but the head is fizzy and cheap. Weird nose of cardboard, faint burnt rubber and faint citrus fruits. Super light palate with fizz...I honestly can’t pick any ’beer’ flavours. Man, why bother? Very similar in appearance to the Flying Dog Snake Dog IPA consumed recently although perhaps a touch more hazy. Nose is dominated by an almost sweet note, confectionary-like, probably malts. The front half of the palate is very similar, and in fact could almost be accused of being too sweet and cloying. A bit dumb really. Hops kick in late but don’t balance out the initial sweetness. Good fun but not really a great beer (and quite possibly not well put together). Strictly non-sessional for my tastes. I found this site a while back. Heaps of interest here as it pretty much focuses on cellaring beer and in particular focuses on some of the science behind the aging aspects of beer. Lots of care and effort is put into the content. Not surprisingly the site is mostly US centric but regardless it works well as another reference point. Don’t quite know style this beer is aspiring to be but I reckon it works. Definately sweet hints here, in the house style, but quite nice. Fruity nose, not miles away from a Pommy golden ale or bitter. Fruit drives the palate and the flavour weight hold up well with the alcohol lending a hand. Firming bitterness kicks in on the finish. This is a good beer. And geez, didn’t Benard Fanning sound good on Red Oak’s speaker system! I thought this was pretty good. Poured a treat with a coffee coloured head of decent intensity. Dull tan brown in colour. Distinctive aromas of sweet birch and a hint of milk chocolate. Flavours are a little more tame and doe wash out to a malty Vienna / Amber style. Finishes dry and somewhat unmemorable. An interesting tasting for me as a sample of the "current" release back in 2005 was the first time I had tried an Aussie beer that could truly be considered world class. I think the early 2008 on-tap offering is the 2004. Exceptional optics; near black in colour with a perfectly formed thin choc orange head (straight outta the BP handbook), Raisened fruits on the nose with some chocolate, quite subtle but clearly showing some class. Palate is definately in the weird bracket with flavours dominated salty, olive kick, before some sweet roast and chocolate comes through. Dead ringer for a Thorogoods cider! Finishes with a sweet edge. Not really a great beer but has character. And of course way pricey at $10 for 180ml. I didn't have huge expectations given my sense is that this beer generally drinks better fresh. Appearance hasn't suffered over time; glowing orange and a thin creamy head of light density. The nose is really, really impressive with sweet malts, hints of toffee, and some darker aniseed fruits that are probably driven by the alcohol. Not unexpectedly the flavour power doesn't quite match the nose but is still solid; drying malts and a marked firm bitter sliver, almost bitter in the stone fruit mould. Plenty of fizz, as per usual, and a drying finish. Can't see a lot of sense cellaring beyond 3 years but this was worth the effort. Can’t work out the provenance of this one. Label states that it is brewed in Germany on behalf of the ‘Australian Brewing Corporation’. Anyway , fairly standard interpretation of a lager. Not too bad. Excellent lift off the nose for the style; albeit the aromas are fairly mundane malt and adjuncts, with some sweetness. Dumb but has a certain appeal. Line and length in the mouth; industrial malt action, a sliver of corny sweetness, and a cut of bitterness on the finish. I hope it’s cheap as it might provide a halfway decent alternative to local industrial beers. 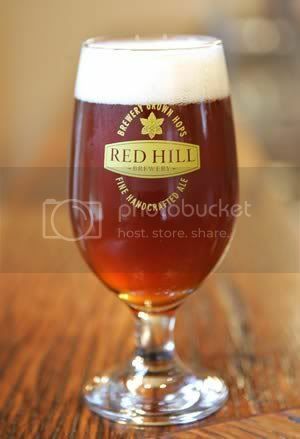 Looks the goods – glowing light brown and a thick creamy head. Chunky lacing too. Nose is fairly typical with caramel and fruit and the faintest herbal hop kick. Palate structure is very soft, drier than expected, and perhaps the fruit flavours are a touch dilutive. Carbonation is relatively low, but I can’t help but feel in this case the beer could have done with a touch more lift. Bang on target in the looks and smells department; rusty orange, dead clear, thin creamy head, and a big whafting layer of hoppy fruit aromas. Flavours are a bit one dimensional with very linear hoppy bitterness, perhaps a bit sharp and rough, but holds my interest nevertheless. A nice sliver of fruity hops drives a decent finish. $8 per bottle in Australia - I wonder what the street price is in the US? Fairly uneventful beer. Light flavours and aromas although the head and lacing was impressive; big, chunky and good persistence. Lager-like nose with a slightly off malt character. Flavours are very low key and I can’t pick much malt flavour. Mild bitterness on the finish. Pours particularly well with a massive and very rock head; coffee coloured and the body is quite a dark chocolate brown. Sweet chocolate on the nose, at least very early. Some dry roasty notes kick in as well. Palate and flavours show really good weight. Milk chocolate and hints of cocoa drive the flavours although they never really reach a level you would consider ‘intense’. Palate structure is quite soft and the fizz levels a re quite tame. I drank this slightly colder than room temp but I reckon it would be a very decent depths-of-winter session stout. Angry and aggressive beer upon pouring. A massive white / tan head with a faint yellow tinge. Masses of chocolate and coffee on the nose. Heaps of power, so much so that this would be a great beer to illustrate porter and stout aromatics to the newbie. The flavour intensity translates very faithfully through to the palate, the chocolate just keeps on coming. I also picked up a definite hop note in the back, which does deliver an unexpected firm bitterness. These guys are doing a great job across the range and it shows here again. Tough to get excited here. Fairly standard macro lager. Stale / corn-like malts run though the nose and palate. Definitely has a sweet adjunct edge. Finishes quite dry and long. 2005 Vintage. Good to see that these super delux ciders have hit Australian shores. Strictly for the enthusiast given the price ($27 for 750ml), perhaps more so given they are surprisingly low in alcohol. Colour and pour is fairly standard for the genre (light gold amber) and big head early. Aromas are intriguing; dirty apple must, old wood, stalks. A cassis note lurks as well. Definitely has a wine corked character but that is more or less ’part and parcel’ for the style. Flavours are quite mild but well built. Fruits are understated, dry, some spice, more faint cassis. Good presence despite the low ABV.